Sleeping mats cover the floor of the Inter-Faith Ministries shelter. Inter-Faith Ministries in downtown Wichita. "My expectation is that if it gets really cold out and the weather gets bad, then it will probably jump maybe 25 percent to 30 percent each night, and we’ll see an increase every night," Swank says. "Last year, the largest number of people that we saw was 128." The main shelter is located in an old church on North Market Street. There are enough sleeping mats and blankets to accommodate up to 140 men each night. 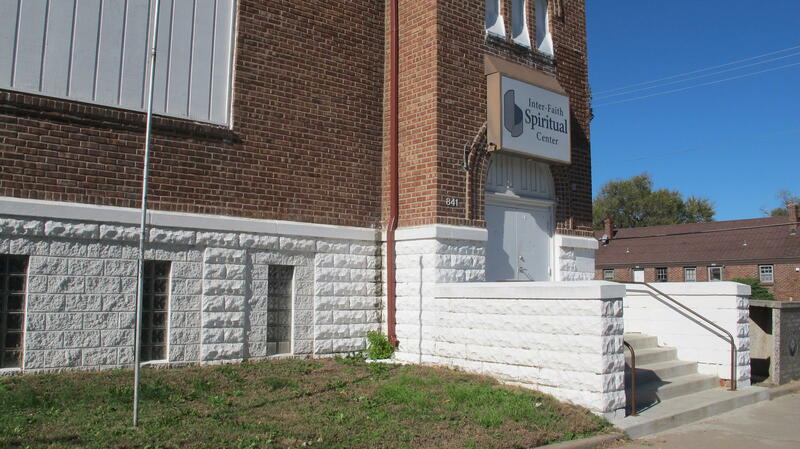 Homeless women stay in an Inter-Faith-owned building across the street. There is room for up to 40 women each night. Volunteers prepare and serve a nightly dinner and morning breakfast. "Last year, I think we had more than 3,000 volunteers who actually worked--preparing meals, coming in to help with the desk and different places," Swank says. "Inter-Faith Ministries would not be able to do all that it does for all these human beings that we work with if it were not for the community and its involvement." Inter-Faith Ministries says last season, 763 individuals used the shelters. Guadalupe Clinic provides a weekly medical clinic on-site for TB tests, flu shots and basic first aid. The emergency winter shelter is open through March 31, 2017. Each winter, dozens of homeless men are able to find a warm place to sleep at a shelter near downtown Wichita. It's run by Inter-Faith Ministries, a nonprofit that provides mats, blankets, and also dinner. But once spring sets in, the shelter is closed, and it’s often back to the streets for those who sleep there. KMUW’s Sean Sandefur reports on the difficult process of getting these men into a permanent home.